Perhaps the most important aspect of submitting a case with ClearCorrect is making sure that you have clear, accurate impressions or intraoral scans. We thought we’d cover some of the basics on the topic of taking impressions. From your technique to the material and trays used, there are a number of important things to keep in mind when you are taking impressions. We accept any silicone-based impression material, including PVS, VPS, and polyether materials. Alginate is not acceptable because it dries out and the material itself can shrink or expand depending on environmental factors. Stone models are also not acceptable. Check out our impression materials article for further clarification on this. 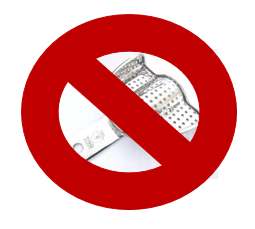 Be sure to use disposable trays and not metal or mesh trays. 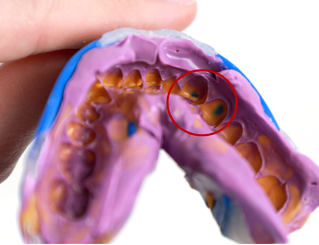 We don’t return trays and when a metal tray is received, the impression has to be processed manually, which can open the door to potential issues with the aligners. Mesh trays (sometimes known as "triple trays") are often too shallow to capture an adequate 2-3 mm gingival margin, and incisal detail is often lost as teeth impinge on the mesh. The scanning software also does not recognize multiple arches at once. We recommend using heavy body and light body material. Impression techniques that used heavy body and light body seem to get the best results. Performing a cleaning before taking impressions removes plaque which can make for better impressions and could reduce the amount of residual spacing at the end of treatment. Dry the teeth with the air syringe to eliminate saliva bubbles interfering with the details of the impression. Be sure to remove all engagers before taking impressions. When impressions are taken with engagers still attached to the patient’s teeth, there is a possibility of the engager tearing the impression when removed and can cause damage to the impression. One-step impression techniques seem to get the best results (but we’ll accept two-step impressions as well). When applying the light body material on top of the heavy body, it is best to avoid lifting the tip of the applicator. This will help prevent bubbles from forming in the impression. 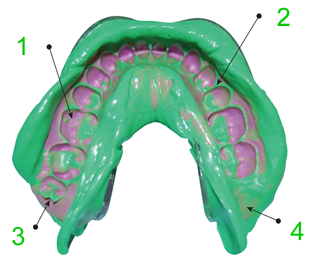 The most common mistake when taking impressions is removing the trays when the material hasn’t fully set. Set a timer and make sure to follow the directions for your material exactly. Discard the first inch of material that comes out of every new mixing tip. 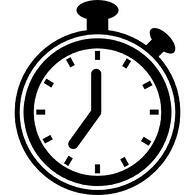 We suggest waiting an additional 60-90 seconds longer than instructed before removing the trays from the patient’s mouth. Another common issue with taking impressions is getting the distal of the last molars—it can be difficult to get a good impression since it’s hard to see back there. Make sure that you’re using a correctly-sized tray. It should extend past the last tooth in the arch without touching the gums. 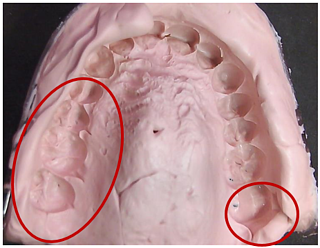 Before inserting the tray containing light body, add some light body directly to the occlusal and distal portion of the last tooth in the arch, ensuring that the last tooth is completely covered with impression material. Make sure you have detailed, accurate occlusal surfaces. 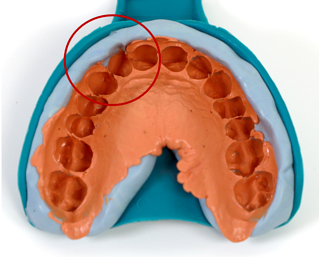 This will ensure that the aligners will have a tight fit. Make sure all gingival margins are defined and clear. (Includes a minimum of 3-4mm of buccal and lingual surfaces outside gingival margin.) This will ensure enough retention points are present for effective tooth movement. Make sure that the impression material is intact. 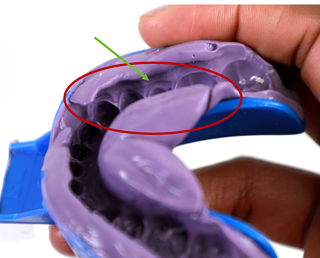 Damaged or thin impression material compromises the accuracy of the molds and resulting aligners. Check that there are no imperfections in the impression material. (Make sure there are no voids, bubbles, thin walls, shifts, double imprints, pulls or tears.) Imperfections or double imprints in the impression could affect the effectiveness of treatment with the resulting aligners. Following are the top reasons for impression rejection that we see here at ClearCorrect. Be sure that you check your impression for these errors before you send your patient home! Insufficient material creates a void in the impression, preventing us from capturing the actual tooth outline. This occurs while the impression material is being distributed, due to the tip being lifted out of the material. Pulling the tip out creates a hollow void that, when more material is distributed on top of it, creates a bubble. Thin walls are created a number of ways: insufficient material, too small trays, or the tray was pushed in too deep. 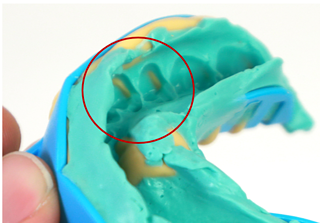 The material itself captures the majority of the tooth anatomy, however the scanning process (performed at ClearCorrect) does not pick up the tray well (where the tray shows through, as in the image below), leaving that much of the tooth anatomy incomplete or distorted. The tray shifted while the impression material was still setting, creating a double margin on a few teeth. When the full arch or quadrant was shifted, normally occurring during a two-step impression. 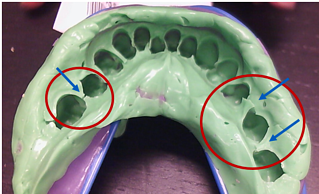 When the impression material starts to prematurely set before it's placed in the patient's mouth it results in a "pulled" effect around the gingival margin. Tears occur when the patient has extreme undercuts or black triangles which causes the impression material to lock into the interproximal and tear when removing the impression (to avoid this, use wax to block out undercuts before taking the impression). Following these best practices can mean the difference between receiving a good treatment setup with aligners that fit properly or having a difficult case that doesn’t track. Make sure you’re sending in good impressions for your cases and start your cases off right! And, just as a reminder, we accept digital impressions (scans) from CEREC, Ormco Lythos, 3M True Defintion, Carestream, iTero, 3Shape TRIOS, E4D PlanScan and Motion View Ortho Insight 3D scanners.